Kanye told Trump why he wants the 13th Amendment abolished. He says, among other things, 13 is an unlucky number. Trump seems amused at the end of the video. 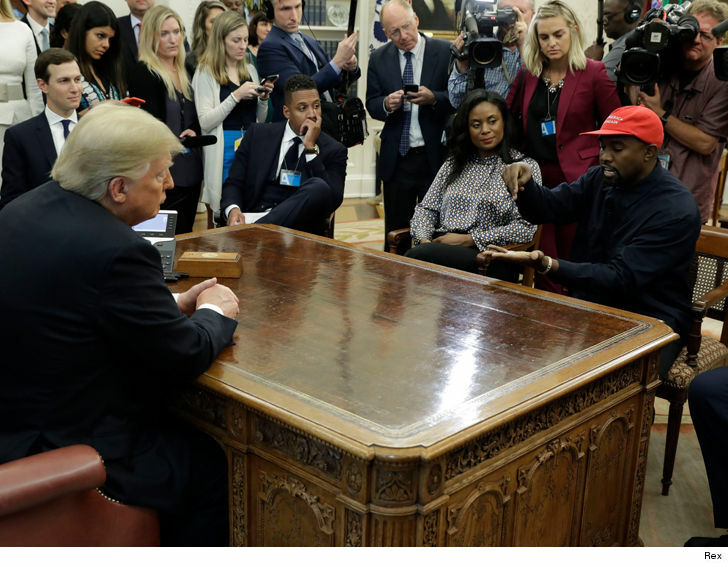 9:55 AM PT -- Kanye told Trump this in the Oval ... "My dad and mom separated so there was not a lot of male energy in my home and also I'm married to a family where, you know, there's not a lot of male energy. It's beautiful, though." 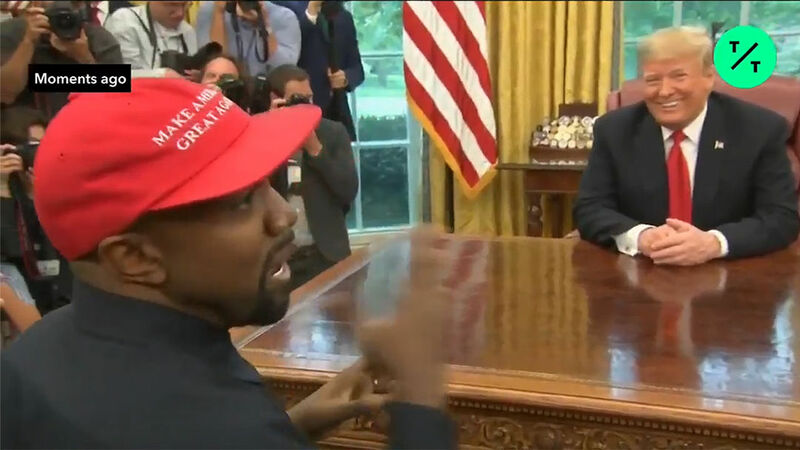 Kanye told Trump he feels like Superman when he puts on his MAGA hat. Kanye West is in the house ... he just arrived at the White House for his meet and eat with President Trump. Ye rolled up for the lunch meeting in a black SUV and, although we couldn't see him through the tinted windows, some of his team members got out at the security gate bearing gifts -- a few boxes of Yeezy swag. Kanye and 45 are talking shop on a list of pressing issues. Officially, their agenda will include prison reform, American manufacturing, creating jobs and preventing gang violence in Ye's hometown of Chicago. Sources close to Kanye tell us he'll also discuss having people formerly incarcerated work in his factories and urge other big companies to follow suit. However, based on President Trump's own words Thursday morning, we know what he's really interested in is his garnering support from African-American voters ahead of the midterm elections. Adding to the spectacle ... Trump will reportedly invite reporters in for at least a portion of the lunch. Can you say PHOTO OP? It's likely Kanye and Trump will also bring up Colin Kaepernick. When Ye was here at TMZ last week, he said he'd reached out to Kaep to try and get him to D.C. for a peace summit with POTUS. 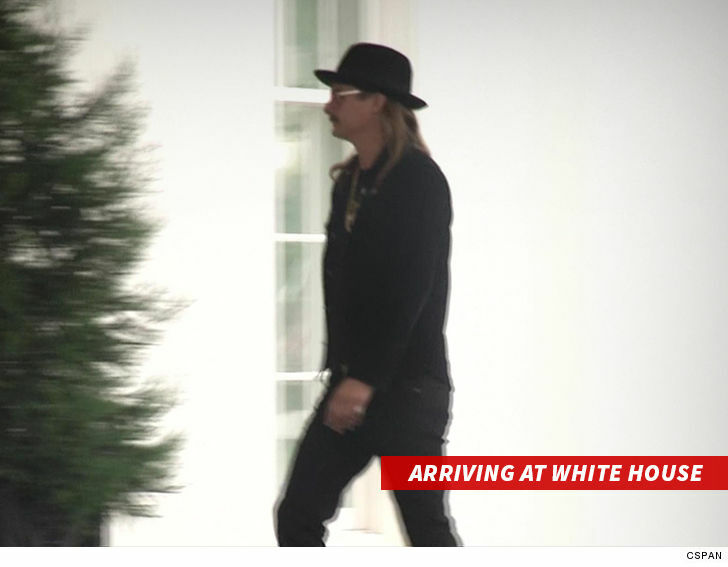 Trump's having a bunch of his celeb pals over today -- Kid Rock and John Rich of Big & Rich were also there to witness him signing the Music Modernization Act into law. However, the luncheon will only be attended by Kanye, NFL legend Jim Brown, Ivanka and Jared Kushner. On the menu -- Caprese salad and roasted chicken with potatoes and asparagus. Delish ... what could go wrong?